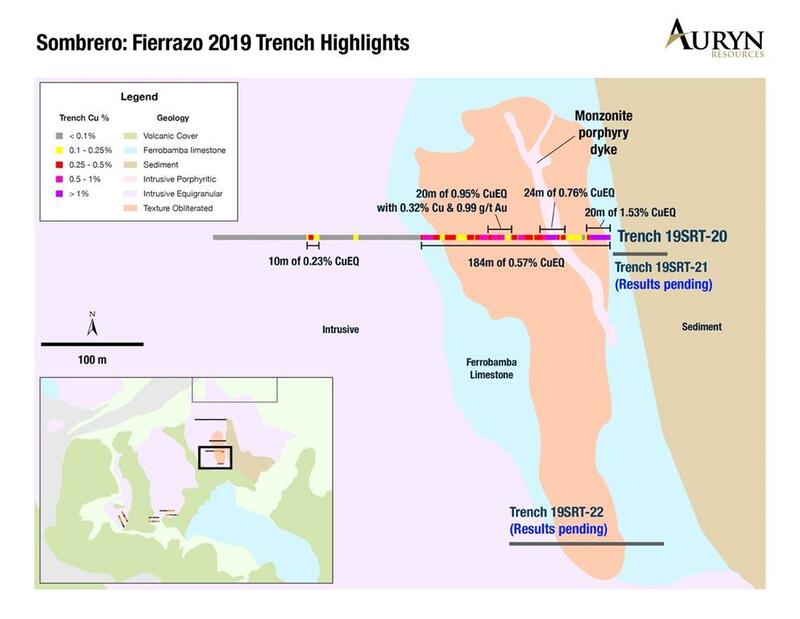 VANCOUVER, BC / ACCESSWIRE / March 12, 2019 / Auryn Resources Inc. (TSX: AUG, NYSE AMERICAN: AUG, "Auryn" or the "Company") is pleased to announce results from the first trench at the Fierrazo area at the Sombrero copper-gold project in southern Peru. Trench 20 is characterized by a continuous broad interval of both endoskarn and exoskarn mineralization that sampled 184 meters of 0.57% copper equivalent, including three higher grade internal intervals of 20 meters of 1.53% copper equivalent (1.50% copper and 0.04 g/t gold), 24 meters of 0.76% copper equivalent (0.70% copper and 0.09 g/t gold) and 20 meters of 0.95% copper equivalent (0.32% copper and 0.99 g/t gold) (Figure 1 & Table 1). 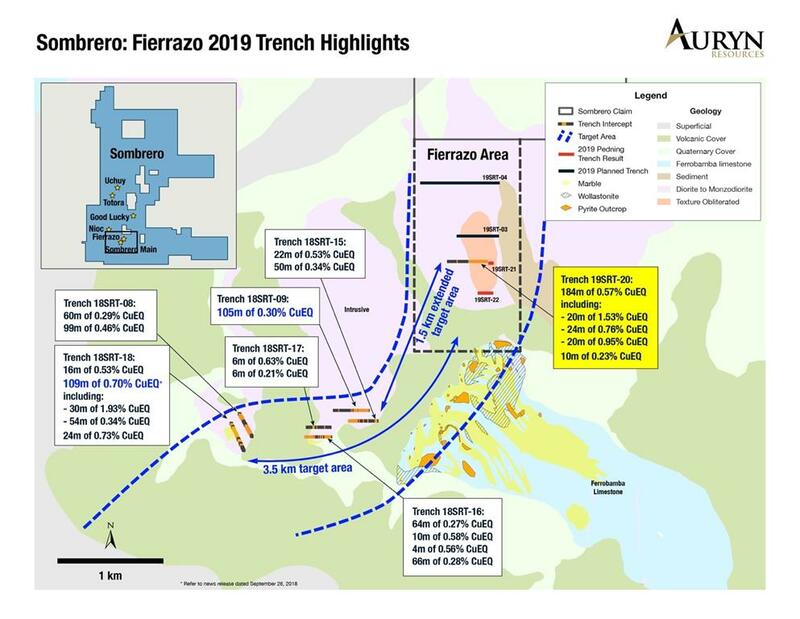 "We are very impressed with our first trench at the Fierrazo concession area. 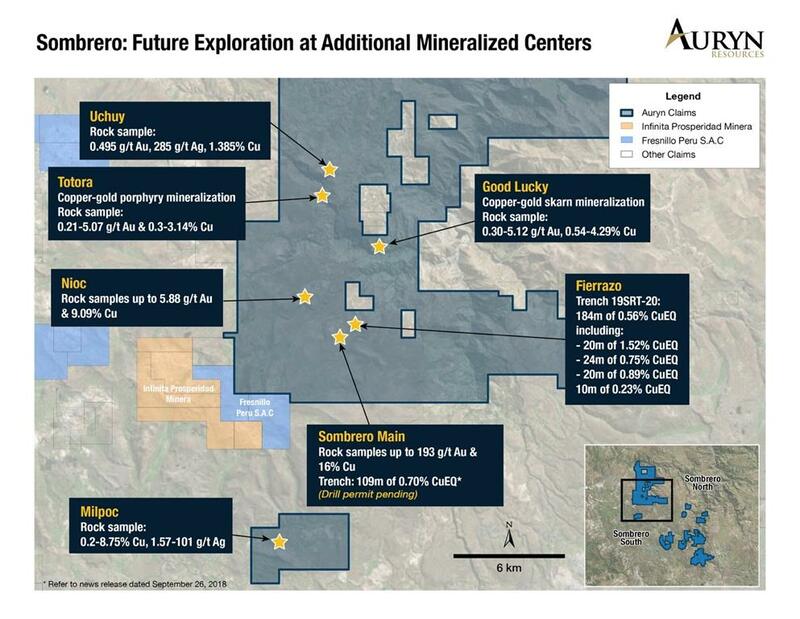 The long, continuous copper-gold results validate our exploration model and have given our technical team a great deal of confidence in the potential of the project to deliver a discovery drill hole in the first ever drill program at the project." Figure 2: Illustrates the position of Trench 20 relative to Auryn's previously announced trench results. 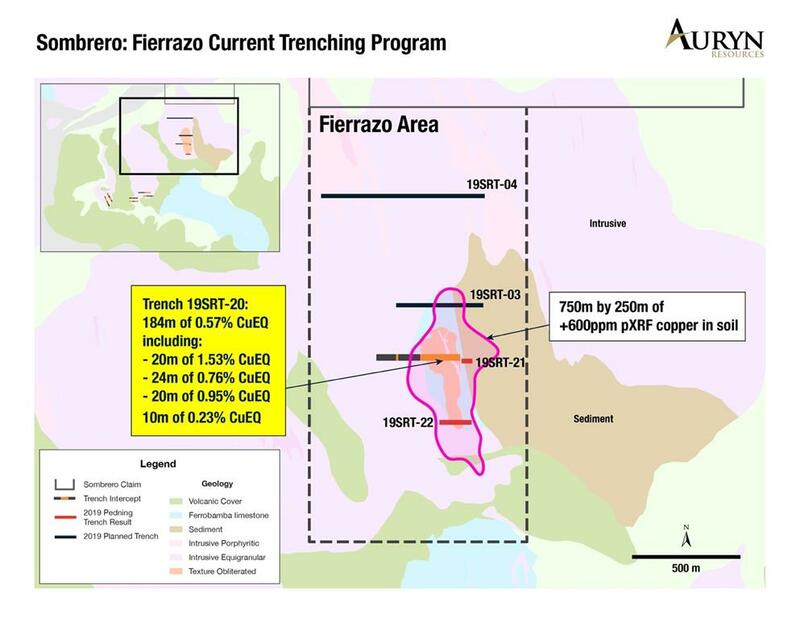 In total, Auryn has now trenched significant copper-gold mineralization over 3.5 kilometers of strike length and has extended mineralization by 1.5 kilometers to the northeast with the results from Trench 20.